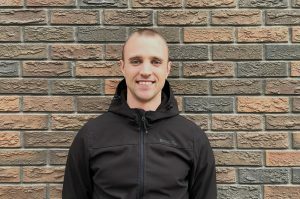 Koby received his registration with the CRMTA in June 2017 and graduated from a 3000 hour advanced clinical massage curriculum in December 2017. Koby has obtained a significant amount of experience and expanded his practice treating motor vehicle accident patients as well as everyday working individuals. He includes myofascial release, myofascial cupping, trigger points and deep tissue massage as a part of your treatment. Koby’s inspiration in pursuing massage began early on as someone who needed therapeutic treatments himself. Knowing the importance of being able to continue doing the things he loves he wanted to be able to provide the same care and help to others. Koby knows the benefits of staying active and keeps up with running, hiking and rock climbing as a part of his energetic routine. Experience an hour of relaxation and rejuvenation on the massage table. Book in with Koby today and get back to the things you love!